Here are some more pics and a few details of the pillow I showed you a peek of here. It all started with the creamy white rose trim. I’ve had it for a couple of years at least. I had just enough to make a circle. 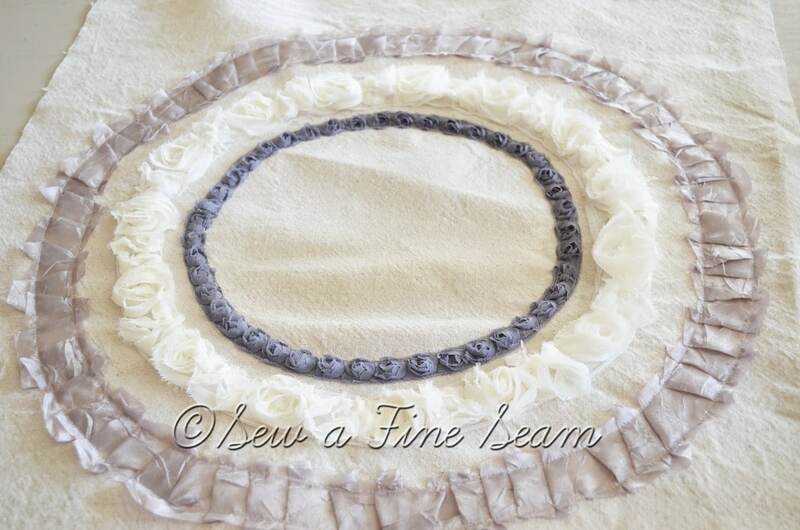 From there I added the grey rose trim and then pleated the crushed silk-look ribbon to form the outer circle. I liked it but thought it needed something in the center. Enter the stencils from Royal Design Studio that I recently won! I wanted it to be subtle so I used a creamy putty colored paint I had. But it was a little too subtle! Your usual good work, Jill. It is very pretty. Had to chuckle when you said,”If I have to keep it.” That wouldn’t be too hard to do. But I think it will sell. i know Pam, I love them! I have stolen all the forms I have here already for the new pillows I’ve made and can’t wait to get the new forms to stuff some more! Thank you Diana! I like how it turned out too. 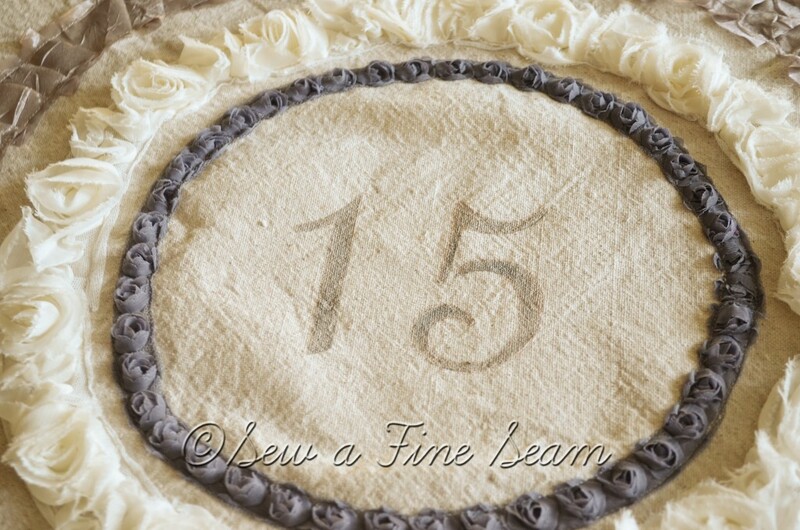 All my girls are born on the 15th so the number 15 is a fun one for me! Different months and years, but all the 15th day! Love this pillow, Jill! Its elegant all the way! Thank you Crystal – it looks like something you would like – elegant is a good description of you! 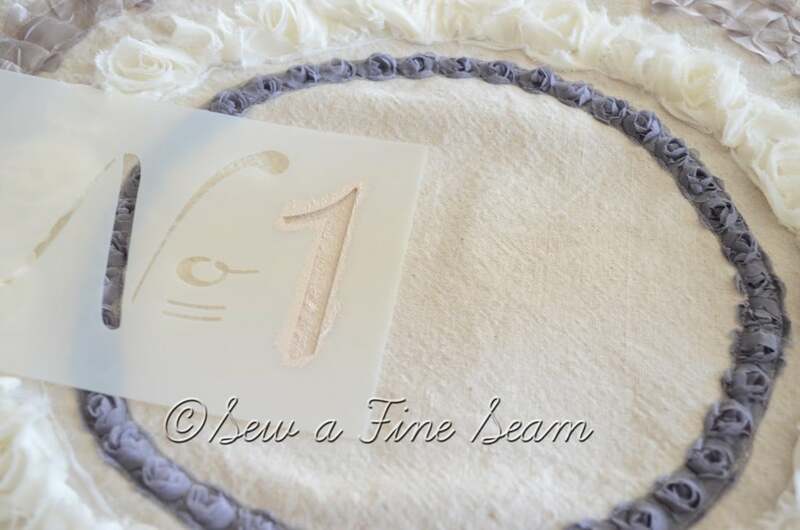 I just love that rose trim and the number is the perfect finishing touch! 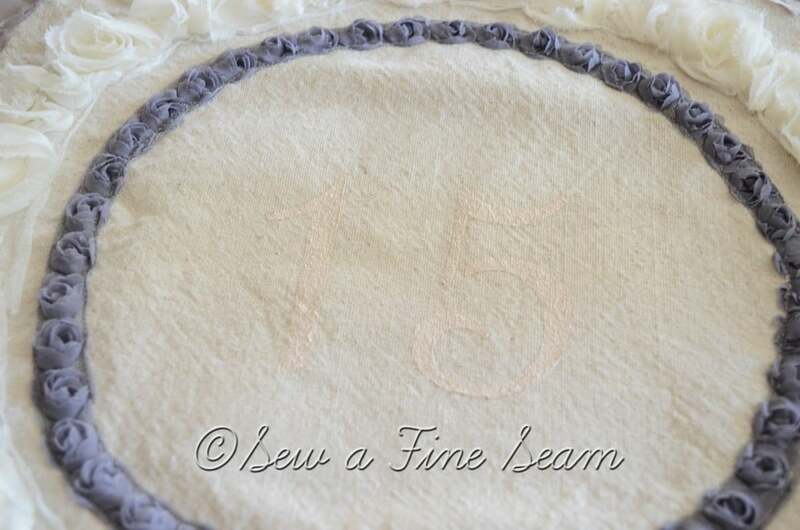 Thanks Linda – I liked how this came together! That pillow is incredibly beautiful. I love the cream roses combined with the gray roses. And, I strongly suspect, this pillow, though lovingly created with your favorite number will be going home with someone else. It’s perfect. Thanks Amy – I really hope someone loves it enough to buy it! LOVELY! I really like the layers upon layers of trim!! So Romantic & sweet!!! It is a romantic look isn’t it Jennifer?! I rather like it a lot myself. Hoping someone else likes it well enough to buy it since I can’t keep everything I make!